I have lots of memories of playing F-ZERO X on the Nintendo 64 with my brothers. 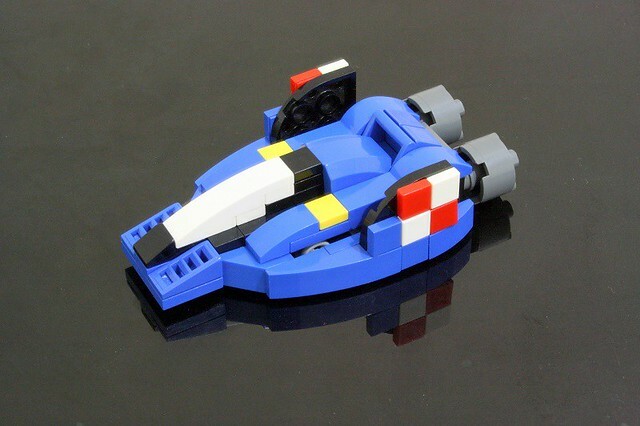 While I never much cared for Captain Falcon and his Blue Falcon rendered fantastically in micro scale by Angka, I generally went for lighter higher acceleration racers. What I like the most about this is it is built on a pullback racer frame, so Captain Falcon can show you his moves on the straights as this build rockets down the table.